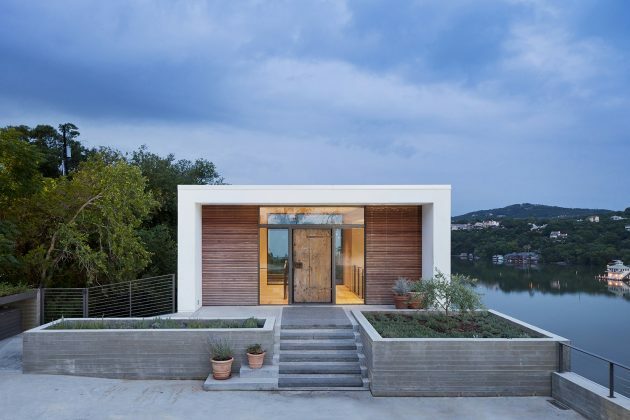 The Cliffside Residence is a modern dwelling located on a unique lot on a narrow limestone ridge next to Lake Austin in Texas. 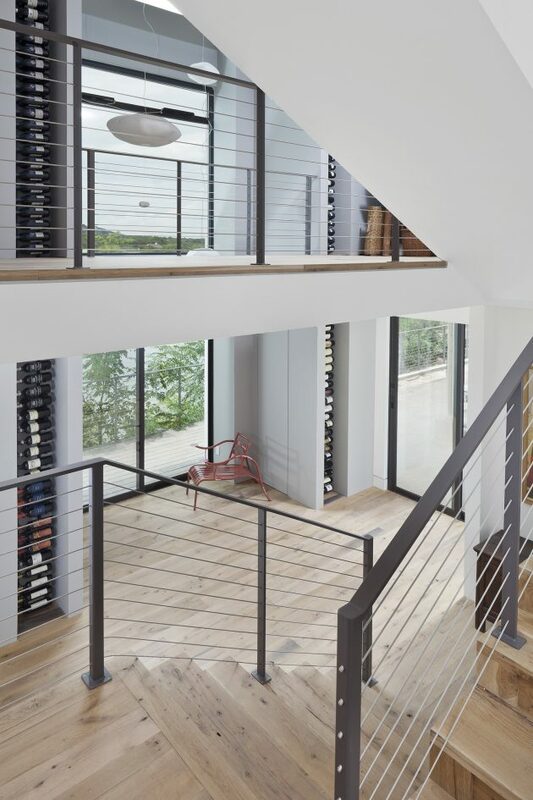 Its design was done by Specht Harpman of Specht Architects and it has a very unique feature that you don’t see on a lot of homes. 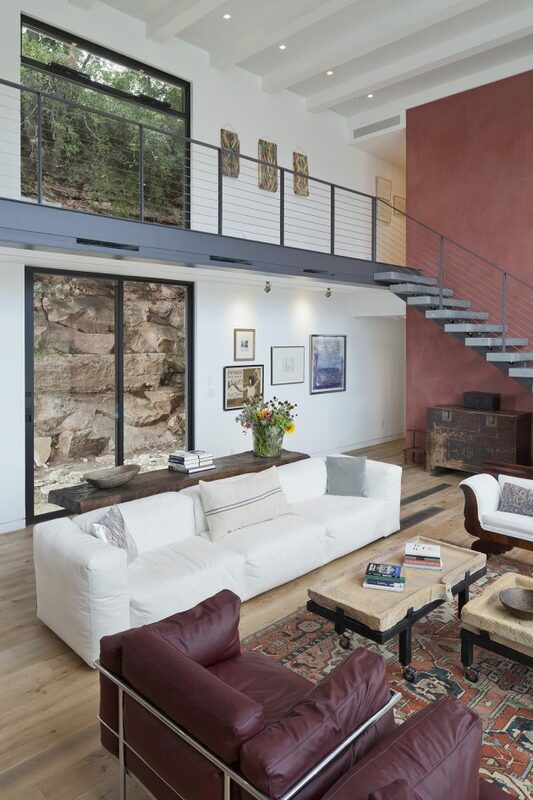 The unique thing about this home is its entrance. 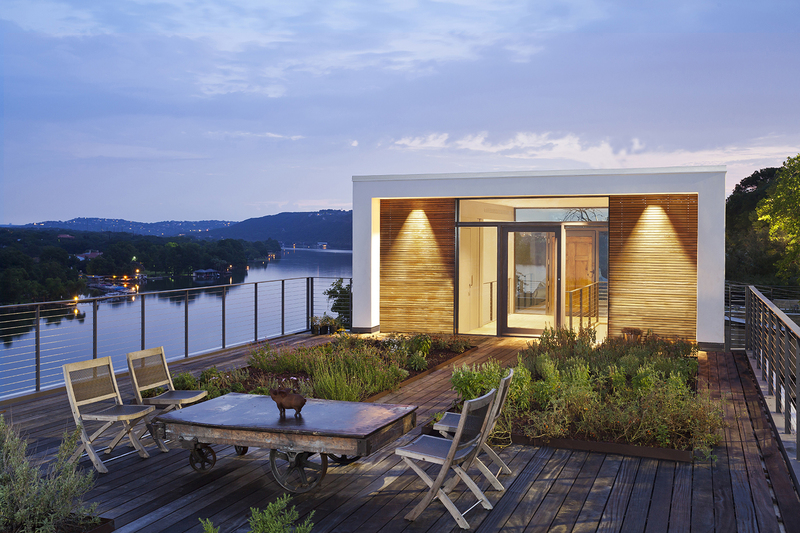 Instead of it being on the ground level like most other homes, the Cliffside Residence welcomes you through its rooftop entry. 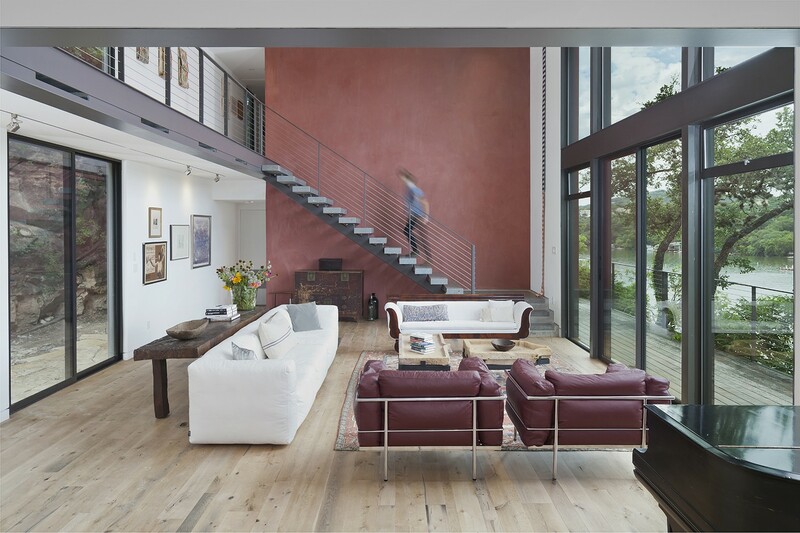 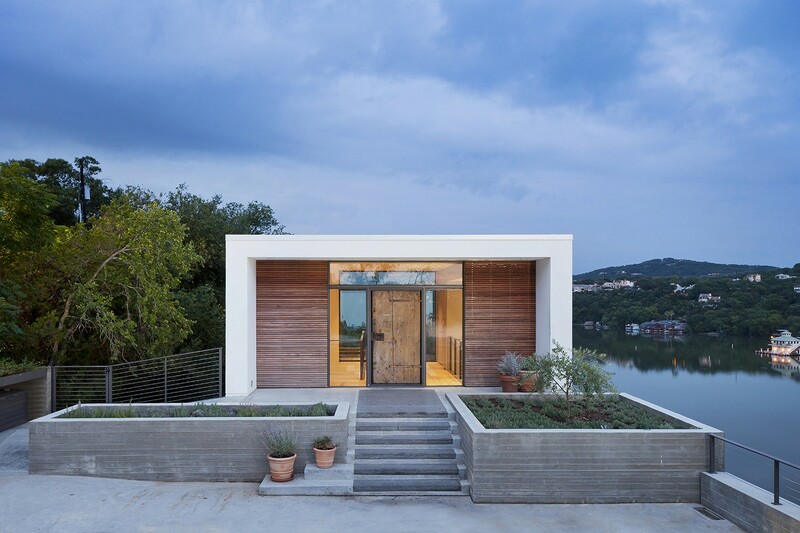 From the architects: “Suspended on a narrow limestone ridge halfway down a cliff overlooking Lake Austin, this home builds upon the frame of an existing 1970s-era structure. 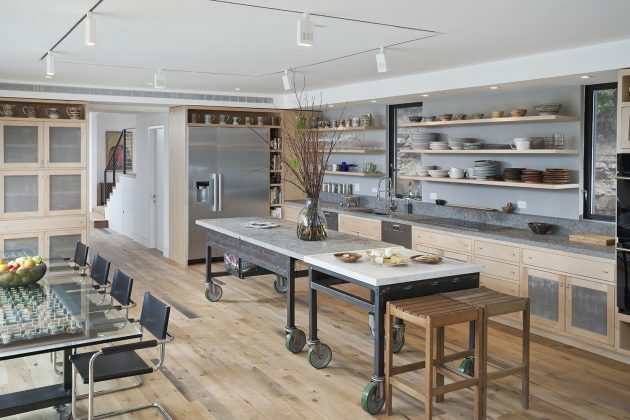 The renovation re-works the processional sequence into and through the house making it habitable for an elderly couple, enhancing engagement with the dramatic site, and incorporating elements that have personal importance to the owners.